Mosiso vintage sleeve case for MacBook Pro 13 Inch with Retina Display (A1502 / A1425, Version 2015 / 2014 / 2013 / end2012,). Do not fit for MacBook Air 13 Inch (A1466/A1369) and old MacBook Pro 13 inch with CD-Rom (A1278). The soft, velvet interior not only keeps damage at bay, but accentuates the sleek design of your MacBook. Mosiso 1 year warranty. The dimension of case is 13.1 x 9.1 x 1.1 inch. Specifically designed for MacBook 13 Inch with Retina Display (Model: A1502 and A1425, Version 2015 / 2014 / 2013 / end2012). WARNING: This case can't Fit old MacBook Pro 13 Inch with CD-Rom (A1278) and MacBook Air 13 Inch (Models: A1466 and A1369). Superior durability case cover with shock-absorbing features. Protects your MacBook Retina from scrapes and scratches. 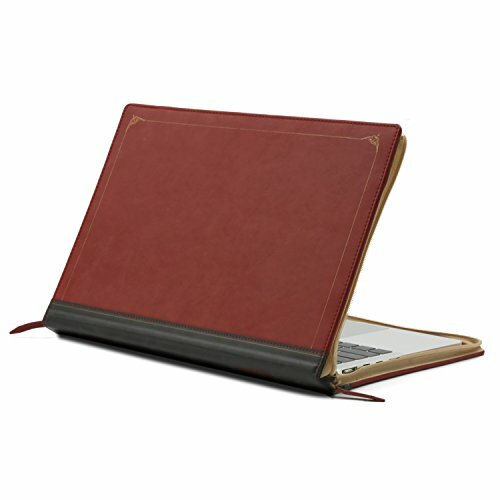 Uniquely elegant classic PU leather design enhance the feel of your MacBook. Unique protective design allows operating your MacBook Pro Retina freely without removing the case. If you have any questions about this product by MOSISO, contact us by completing and submitting the form below. If you are looking for a specif part number, please include it with your message.